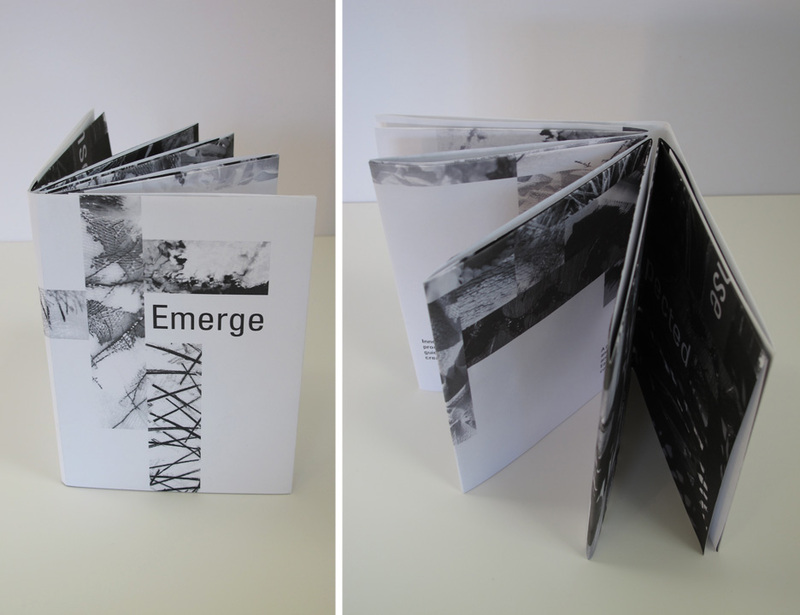 Emerge is a book and poster that summarize the experience I had in a Pattern, Form & Surface course at UC Davis. Discovering a flow and organic process was so important to my experience in this course. It is easy to allow myself to get stuck in an uncreative rut, but it is when I keep pushing and exhausting every option that suddenly I am surprised by an incredible discovery that will take me in a whole new direction of its own. I wanted to express this idea visually in my book and poster. The pages of the book start simply with a lot of negative space, but with each spread more cropped images and darker shades creep in. 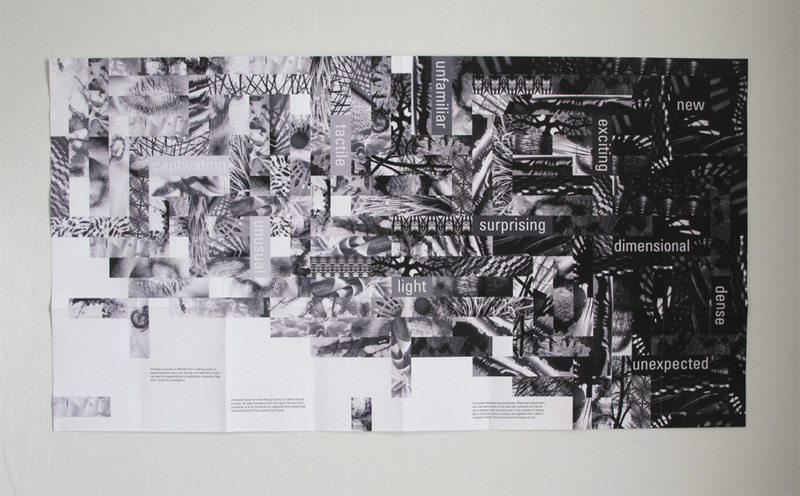 The final spread leads the viewer to open the book into the poster, which is a large pattern consisting of cropped parts of all of the explorations I did in the course. Below are details of the cover, construction and craft of the book. I compiled the images to create a gradient from one side of the poster to the other to add another element of dimension. From far away a viewer can see the gradient and get a sense of a pattern, but it is not until they come close that they can see all of the individual images, patterns and words that create the whole. This speaks to the idea that it is not until you allow yourself to get caught up in an idea that creativity and discovery can emerge and flourish.